Fabric wrapped clothesline. 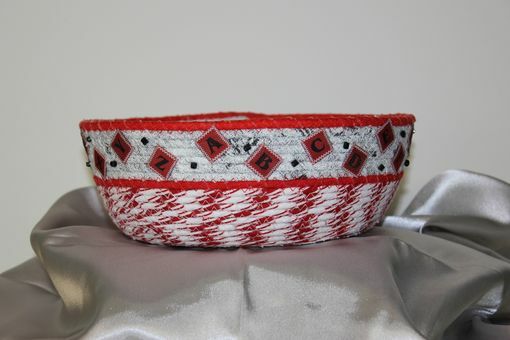 Strips of fabric are handwrapped around cotton clothesline and machine sewn with a zig-zag stitch to for the bowl. 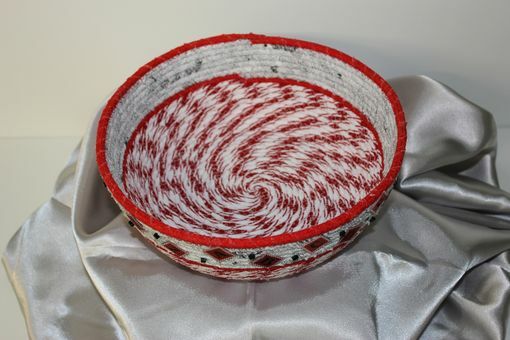 Care: pieces can be spot cleaned with a mild detergent and warm water. 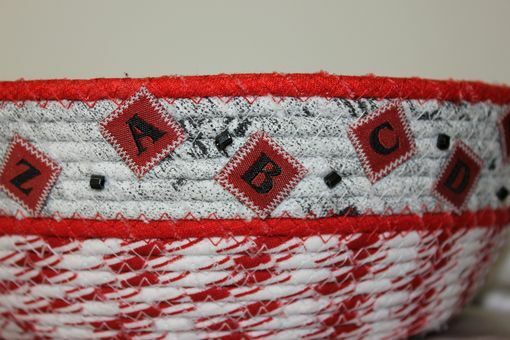 This piece was designed with fabric used to decorate a new baby's room. Everything matches and waiting for the new baby to arrive!! 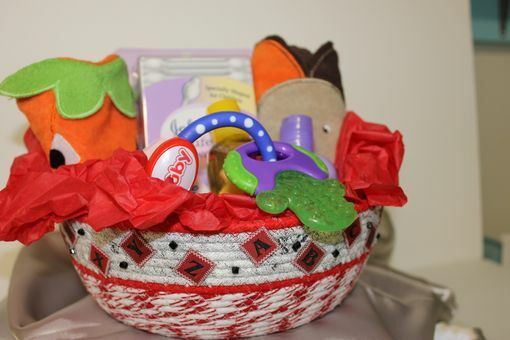 The basket was used to hold different baby gift items and given to the mom-to-be at a baby shower. Great idea for any occasion. Let us design a gift for you!